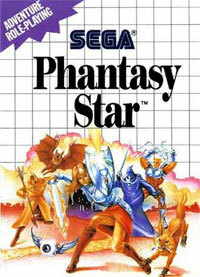 This week’s Wii Virtual Console treat is the original Phantasy Star, first seen on the Sega Master System. It costs 500 “Wii Points,” but I’m not sure of the exchange rate on that. This is where it started, people, the console RPG that spawned a franchise and still claims devotees to this day. Phantasy Star is a dark and often disturbing tale of heroism, revenge, and power-mad governance with distinct overtones of Nazism, Big-Brotherism, Fascism, and many other isms. Though this first installment doesn’t come near the overwhelmingly bleak tone of some sequels, its story is nonetheless quite grim, and quite unforgettable. The Phantasy Star series also toys thematically with the concept of Evil as a living, breathing thing, something I already discussed at length in this post, and those of you who haven’t experienced the stellar opening act owe it to yourselves to do so. You may be surprised how well the graphics hold up after all these years. For a game born in 1987, it surely stands the test of time. So if you’ve got the inclination, and a Wii, and 500 Wii points, trot on over to the Wii Marketplace and buy this piece of history. You won’t regret it. Isn’t the game from ’87 instead of ’84? Nonetheless one of the very few 8bit RPGs I can still stand in its original incarnation. K – you are right, it was 1987 in the West. My apologies; article corrected! Wii points cost a penny apiece. 500 Wii points is five bucks, well, plus tax. I haven’t fired up my Wii in forever. I might have to plunk down $5. Plus tax. For me, those old console games can be more fun than the latest and greatest. I am a woman of simple taste. Five bucks is totally worth it, especially if you’ve never played before. 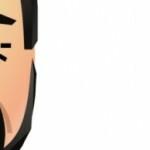 Check it out, Jen, I’d love to hear your thoughts on the game.